The son of artist Julian Schnabel is a successful art dealer and gallerist in St. Moritz and New York. BaZ: You were already interested in art and put on exhibitions from an early age. How did it all begin? 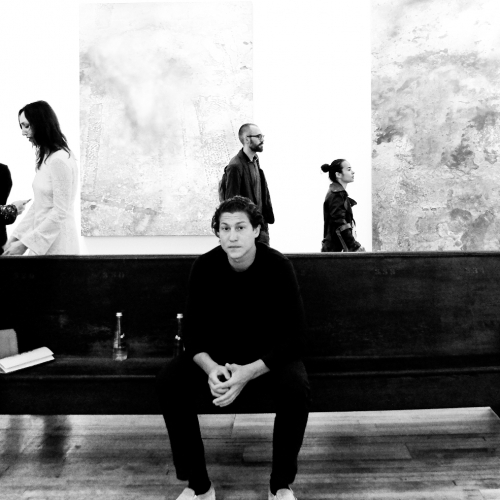 Vito Schnabel: My sister Lola is an artist. She makes music videos and she paints, she’s very talented. Through her and her friends I became more interested in art, which fascinated me, and I decided to organize an exhibition called “Incubator”. I found a space and showed artists like Luigi Ontani, Jorge Galindo, or Vahakn Arslanian, and of course my sister. These days, you do projects in New York and you have your own gallery in St. Moritz. How are the two places different from each other? The space that I have in New York doesn’t function like a normal gallery. There aren’t constant exhibitions. But I do find it interesting to do shows here and to find specific spaces for certain exhibitions. After all, that is how I began. And why did you come to St. Moritz? I was looking for spaces outside of New York. First I thought of San Francisco and wanted to open a gallery with Carbone next door. But then two years ago at Art Basel, my godfather and dear friend Bruno Bischofberger asked me if I would like to take over his space in St. Moritz, because he was going to turn his focus to a building he was constructing to house part of his art collection in Zurich. He already had some people interested in his space, but he told me to take my time to think about it. After a few hours, I told him, yes, I’ll take over your space. It’s perfect. Zurich is close with its international airport, but also Milan or Munich. In addition, St. Moritz has a very interesting history in terms of art. Artists such as Alberto Giacometti, Jean-Michel Basquiat, Andy Warhol, and also my father have worked in this region. Do you still believe in the gallery model or do you find it outdated? There is still the need for a space to show art. I am seeking the most suitable platform where I can present the artists that I appreciate and support. A gallery is perfectly suited for that. Do you see yourself more as an art patron than as an art dealer? I work very closely with my artists. That’s what’s fun and that’s what I love about what I do. I like the idea of being able to present work I believe in. Imi Knoebel and Walton Ford do completely different things. But through such different artists I get to know completely new art. I often go to artist’s studios and always discover new art through them. Which artists that have passed do you admire? I have the deepest respect for Andy Warhol and Jean-Michel Basquiat. I am a big fan of Warhol’s, he still influences a lot of artists to this day. I met Basquiat when I was a baby, but I don’t remember that. Barnett Newman and Sigmar Polke are pretty great too. And which contemporary artists do you personally admire? At the beginning of the year, Bob Colacello curated an exhibition at my gallery. One of the artists was Borna Sammak, he’s part Iranian and grew up near Philadelphia. I’ve known him for about 5 years now. I think he is very talented and I would love to collaborate on a solo show with him. I am always looking for new artists. The first solo show that I did was with Ron Gorchov. I met him at the “Incubator” exhibition and visited him in his studio in Brooklyn. What I saw there just blew my mind and was as new as anything I had seen at that moment. I believe he was 76 at the time. He was a big deal in the ‘60s and ‘70s. His work is hanging in museums including the MoMA, Whitney, and Guggenheim. But then he didn’t want to exhibit his paintings anymore. He was waiting for a young art dealer, with whom he wanted to start anew. Fate brought us together. I’m honored that the first solo exhibition I put on was of Ron’s. I learned a lot about art from Ron. And how did Bruno Bischofberger influence you? We are very close, not just because he is my godfather, but because as I said, I consider him one of my close friends. We work on different things together. It makes me very happy to be closer to him in Switzerland than I am in New York. How did he even become your godfather? He and my father have known each other for a long time. They worked very closely together. Bruno is an exceptional personality. He brought many important artists to Europe. He is obsessed with art and is also a true art collector. I cannot learn enough from Bruno. He is my great role model. I admire how he supports and cares for his artists. Has the name Schnabel helped or hindered you in the art world? You have to do what you love. Then the name doesn’t matter. I love my work and am excited about everything that is new. Of course my father influenced me. He traveled around the world with me a lot. He is my father, but also my friend. We have a great relationship. It is wonderful to be able to share a passion with each other. That’s why I don’t have any problems with the name Schnabel. Did he support your move into the art business? When I was 14, I told him I wanted to be an art dealer. He said “you’re crazy, you hate going to galleries.” I told him yes, I don’t like standing around in galleries with lots of people. But Rene Ricard (a wonderful poet and painter) and I have been visiting many museums and galleries and I think this is what I want to do. What do you think of art fairs such as Art Basel? At fairs like this I meet friends and artists. When I’m in Basel, Miami or Hong Kong, I feel like I’m in my world and I can also discover a lot of new things. Do you want to participate at one of the three Art Basel fairs? Sam Keller and Marc Spiegler are good friends and I appreciate their work. Both have also already visited me in St. Moritz and support me. Why is participation at Art Basel so important? An art fair may not be the prettiest place to see art, but in a short time span a lot of people from all over the world who are interested in art come together. That is why a fair is just as important for the artist as it is for the gallerist. But artists don’t really like art fairs? That is true. Artists make their work and don’t really want to know what happens with it afterwards. Of course they hope that it will find its place in a nice home or a museum. But most artists don’t want to be involved in art fairs too closely. Which further plans do you have for your gallery in Switzerland? I want to open another space, but I cannot tell you where yet. It will happen soon though. How big do you want to become? I’m not concerned about the size. It is important to me to have a very close and personal contact with all of my artists. I don’t have a big team, we are eleven people in New York and two in St. Moritz. I worry about galleries that become too big. I want to take care of my artists personally and always be in close dialogue. I can’t delegate that. I’m trying to do it my own way but I’m constantly learning. That’s the most fun, too. Vito Schnabel is the son of the internationally renowned New Yorker artist and filmmaker Julian Schnabel and his first wife Jacqueline Beaurang, a designer. The now-30-year-old started to be interested in art very early on. He organized his first exhibition at 16 years old. He did a series of unconventional art projects in New York that got people talking about him and earned him respect in the scene. 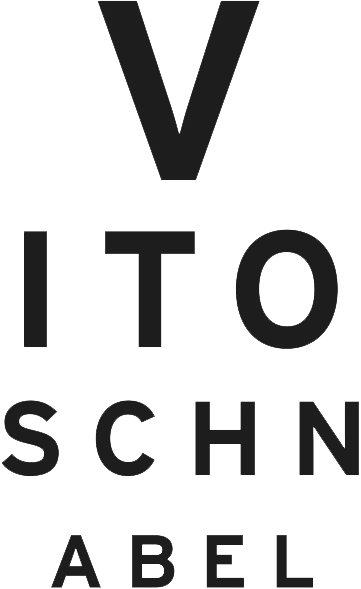 The swiss gallerist and art dealer Bruno Bischofberger became Vito’s godfather. In Julian Schnabel’s 1996 film “Basquiat”, Dennis Hopper plays Bischofberger. The artist and the gallerist have been close friends for decades. Bischofberger was also the one that offered Vito Schnabel his gallery space in St. Moritz. Without thinking about it for long, he jumped at the chance and opened in December 2015 with an exhibition of new paintings by Urs Fischer. Bob Colacello, one of Andy Warhol’s closest collaborators, curated a well-received group exhibition. Julian Schnabel has also shown repeatedly at his son’s gallery. At the moment, the exhibition “MIX PIZ” with new works by Sterling Ruby, can be seen. Outside of the gallery space, Schnabel presents art in the public space, for example Ruby sculptures in the garden of the Kulm Hotel. Further artists of the gallery include Laurie Anderson, Jean-Michel Basquiat, Andy Warhol and Imi Knoebel.